Tarin longs to be a hunter, but his twisted leg means he is feared and bullied. After a disastrous mishap, Tarin is forced to leave his family and travel alone across wild, unknown land to save the Mammoth Clan. Battling the hostile and savage Boar Clan, a deadly illness, and treacherous terrain with twins Kaija and Luuka and their wolf cubs, Tarin realises that if they are to survive he must conquer his greatest fear – his true self – and embrace the magic that is hiding within him. ​The Exile is the first instalment in the Tarin of the Mammoths series. The second book in the series, titled Clan of Wolves, will be released in October 2017. 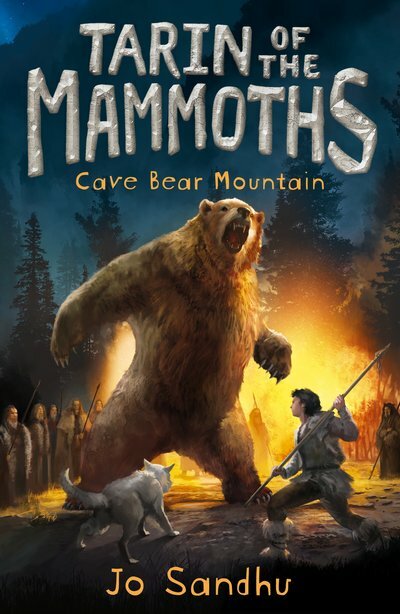 ​To purchase Tarin of the Mammoths: The Exile, click on the BUY NOW button below. Badly injured and fleeing the Boar Clan, Tarin, Luuka and Kaija find an unexpected refuge. As the harsh winter descends, they discover new friends and foes and Tarin realizes his greatest wish – to be a hunter. But when Spring comes, will Tarin have the strength to leave his new family and continue his dangerous journey – even though he may have no Offering left to give? To purchase Tarin of the Mammoths: Clan of Wolves, click on the BUY NOW button below. As their journey continues, Tarin is given tragic news about his Clan and wants to return to them immediately. But Kaija and Luuka have discovered an astonishing truth about their mother. It seems the friends will be divided.